Hyundai L&C participated in the Interzum 2017 which was held in Cologne from 16th to 19th in May. It is the trade fair for furniture production and interior design. 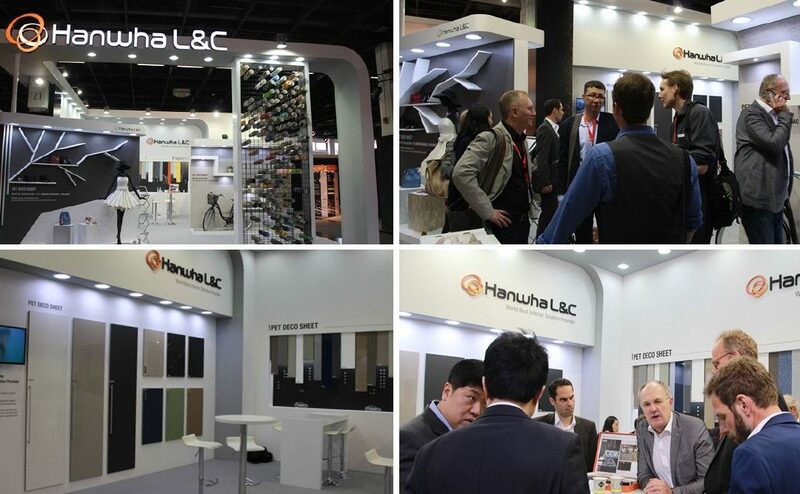 Hanex solid surfaces, Hanstone quartz, Glossia deco films, Bodaq interior films were exhibited in this fair. It was very important to conduct business in that over 57000 visitors from 57 countries come, and more than 1500 companies will exhibit their products. The location of exhibition booth was at Piazza Hall 10.2., the space number is E080. Open hour is from 9:00 to 18:00 in Koelnmesse.